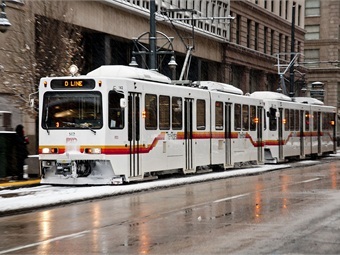 The Denver Regional Transportation District (RTD) board of directors named three finalists in their search for the district’s new GM/CEO. The three finalists are Stephanie Dawson, current Interim GM/CEO Dave Genova and Richard Leary. Dawson is the acting chief operating officer at the Port Authority of New York and New Jersey. She joined the Port Authority in 1995. Her current responsibilities include overseeing aviation, tunnels, bridges, terminals, port commerce, PATH Rail, operations services, and the newly created office of storm mitigation and resilience. Genova has been with RTD for more than 21 years, serving as the assistant GM, safety, security and facilities, for the past eight years. In that position, his responsibilities included overseeing safety certification for rail line openings and the renovated Denver Union Station. Leary is the chief service officer for the Toronto Transit Commission (TTC), the third largest urban mass transit system in North America. His responsibilities include the day-to-day revenue operations, customer services and safety at the TTC. Prior to joining the TTC, he was the chief operating officer for Boston's Massachusetts Bay Transportation Authority. The RTD board will interview the finalists on Friday and is expected to appoint a full-time GM by the end of year.